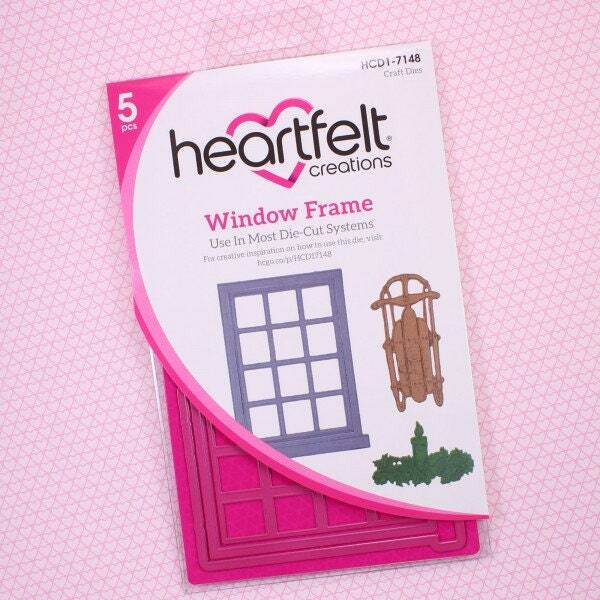 Magical winter or holiday themed window scenes are quick and easy to recreate with the delightful Window Frame Die! When paired with the coordinating cling stamp set, creating a realistic and charming dimensional window through layering the multiple pieces of the frame is completed with ease! 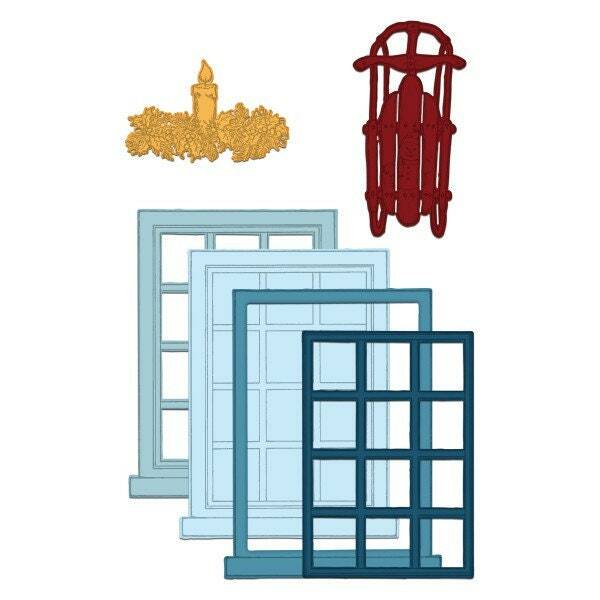 Add a touch of nostalgia to an outdoor window display with the addition of an old fashioned sled die cut or opt to design an inviting indoor scene with the illuminated candle. These dies are part of the Winter’s Eve Collection and pair with the Window Frame Cling Stamp Set.